I’ve set myself on a very ambitious journey, namely to bring the Expos back to Montreal. At this point in the process, I’m feeling like a scout. I’m scouting people, I’m scouting locations, and I’m scouting a city. Baseball scouts are always on the lookout for the elusive five-tool player; a player who excels in hitting for average, hitting for power, fielding their position, has an arm, and can run the bases with speed and skill. I am happy to report that Montreal is a five-tool city. 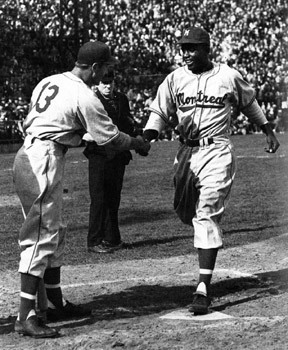 Montreal possesses five important elements that facilitate the quest to bring the Expos and Major League baseball back. Montreal has a very long and rich baseball history. The Royals played their first season in the Eastern League in 1897. In 1939, the Royals became the Brooklyn Dodgers’ farm club and it’s here that Jackie Robinson played the 1946 season one year before breaking the color barrier in the Major Leagues. The city embraced Robinson in the only year he was here, and after he helped the Royals win the Junior World Series, fans stormed the field to carry him on their shoulders. You can visit the corner of Delorimier Avenue and Ontario Street East and stand in the place where old Delormier Stadium stood, in the place where some of baseball’s elite, like Don Drysdale, Roberto Clemente, Duke Snider, Roy Campanella, Tommy Lasorda, and Sparky Anderson, made their marks as very young men. It was only fitting then, that in 1969, Montreal was awarded the first ever Major League franchise outside the United States. So many great players wore Expos’ uniforms over the years; Hall of Famers Gary Carter, Andre Dawson, and possible future Hall of Famers Tim Raines, Pedro Martinez, and Vladimir Guerrero are just the tip of the iceberg. And, as I well know and am so proud of, in 1981, the Montreal Expos were the first non-U.S. team to make it to the postseason. Montreal is a big city with a very large population. According to a Conference Board of Canada report prepared in 2011, one of the “market pillars” needed to support a Major League Baseball team is a population of at least 2.5 million people. Montreal has nearly 4 million people. That makes it the largest North American city currently without a Major League baseball franchise. 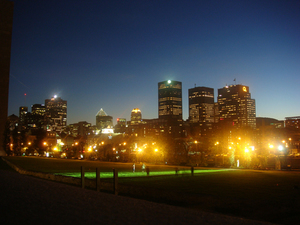 Montreal is known the world over for its multitude of festivals that are so well-attended each and every year. The Montreal Canadiens are an enormous success in terms of attendance, as are the Canadian Football League’s Alouettes, and the Impact, who have graduated to Major League Soccer. Montrealers are passionate about their teams and their events and I know they miss baseball dearly. By the same Conference Board report mentioned above, we know that Montreal is home to 98 of Canada’s 800 biggest companies. Only Toronto and Calgary have more. And, with the Canadian dollar at or near par with the U.S. dollar – something that was far from the case throughout the history of the Expos – we are definitely living in a new and brighter era. Hey, Montreal’s got Warren Cromartie! A passionate former Expo who wants dearly to bring the team back to Montreal and put things right. Okay, I admit, Warren Cromartie alone cannot bring Major League baseball back to Montreal. 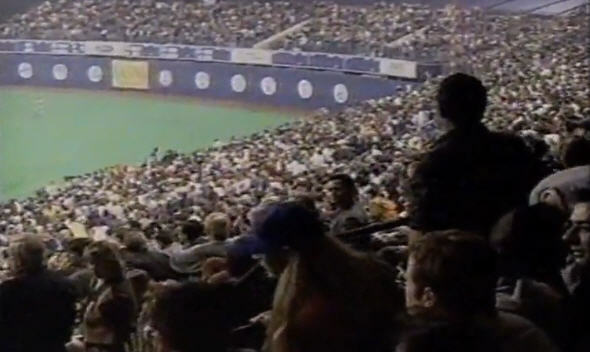 Warren Cromartie alone cannot build a stadium fit for the new Expos. But Warren Cromarite, together with the fans and business interests, is going to try his damndest to do it! I am loving this journey.